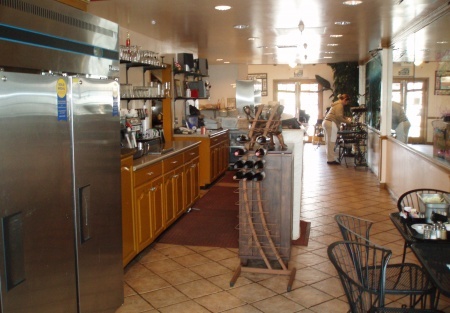 This full service cafe is located in a shopping area over looking the harbor with amazing water views. It is part of the downtown district and close to the convention center in Long Beach. The Cafe has two great patios, one of which looks out over the harbor and downtown areas. The Cafe is 1049 sq. ft. inside, plus a front patio with seating for 20 and a back patio with seating for 15-20 and plenty of parking in a private lot. Rent is $3000 a month, plus $1792 for CAM per month. The lease has 3 years remaining, with a 5 year option. The Seller reports monthly sales at $20,000 per month. The cafe has a type 41 Beer and Wine License and like new equipment. The inside of the Cafe was completely re-done only two years ago. The owners have other full time careers and don't have the time to run the business on a day-to day basis. Perfect opportunity for an owner/operator looking for an incredible environment to own a business in beautiful Long Beach. Take the next step and complete the online confidentiality agreement and you�ll be provided with the restaurant name and address. Also you will given priority notification to new listings in the future, prior to the general public, giving you the best chance to �scoop in� the best opportunities. There are also more photos available to our registered buyers.This is a Business Intermediaries, Inc. listing. Can convert to any concept.